Mix glam with attitude by wearing this totally bold bikini bottom. 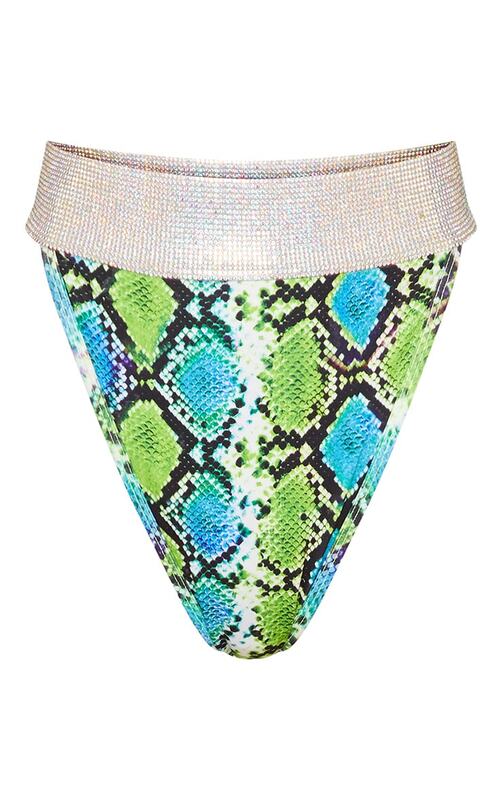 It features a green and blue snake print fabric with a flattering high leg design and diamante detailing, team it with the matching bikini top and complete the look with heels, a kimono and statement earrings. If your ready to turn heads, this number is for you girl.